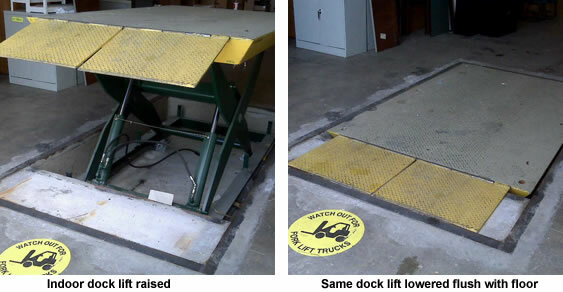 should have a Dock Lift. 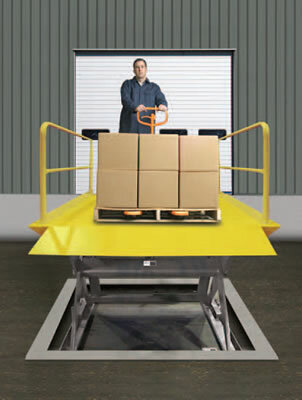 use with two wheel dollies, hand carts, and hand pallet trucks. 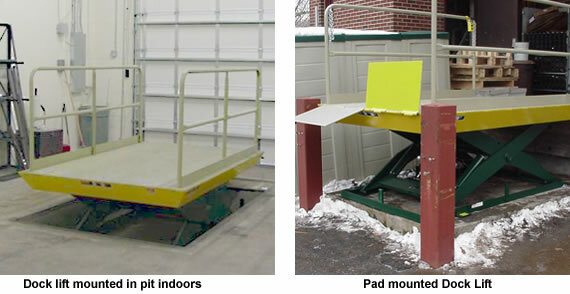 up or down inclines created by dock levelers or ramps. 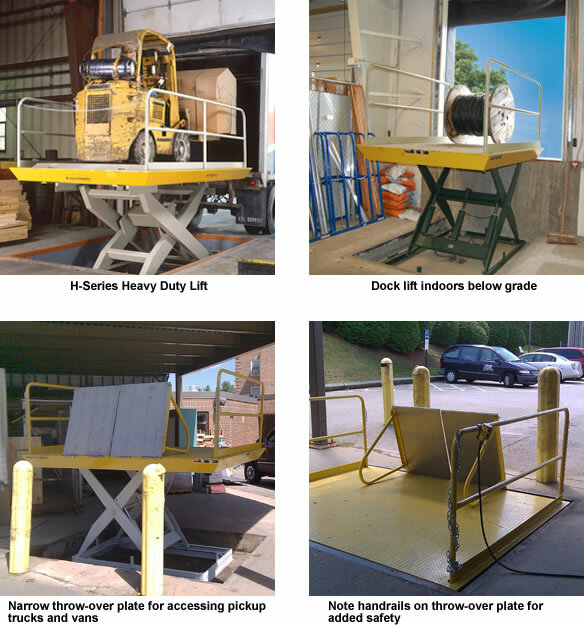 (requires optional ramp for grade level access). 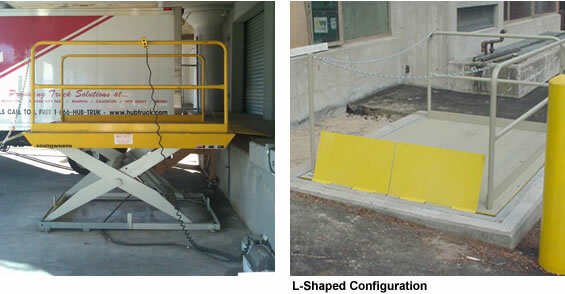 parts and labor, and a 10 year structural. 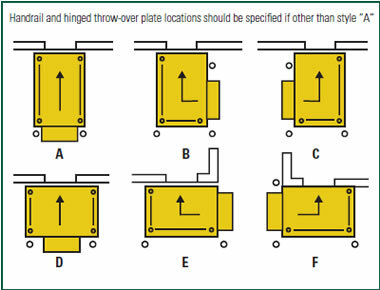 Note : There is no deduct if throwover plate is deleted. 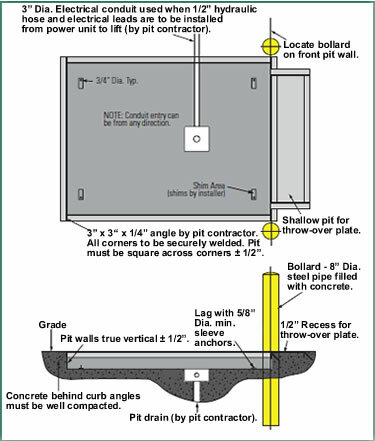 For aluminum throwover plates, consult Sales. 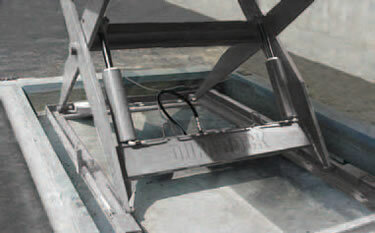 For special handrail arrangements or mounting throwover bridges on side of platform, consult Sales. 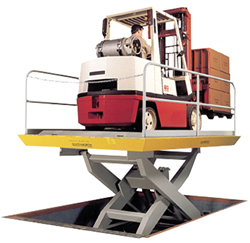 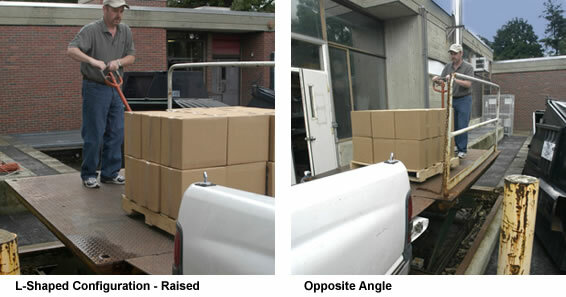 Industrial Scissors Lifts, and Dock Lift from your complete source for material handling equipment.